If you have a disability, seeking help from a “Driving Mobility” assessment centre before starting driving lessons is the best way to get impartial advice about how to proceed. “Driving Mobility” Assessment Centres can give impartial advice about your potential before applying for a first provisional licence but to complete a full assessment, which would include practical driving, a provisional licence would need to be obtained first (some centres with off road facilities may be able to offer practical driving for non licence holders). An assessment would check you meet the medical standards for driving and would explore fully your potential for getting to test standard for both the theory and practical test. Assessment Centres would identify if you are able to drive a standard manual car or if you need an automatic, they would look at your physical ability to operate the standard controls or decide if adapted controls are needed; if you do need modified controls they would find the most suitable adaptation for your needs. If you take your test in an automatic car your licence will restrict you to only driving cars with automatic transmission, if you subsequently want to drive manual cars you will need to take your test again in a manual. If adapted controls are required, once you pass your test, your first full licence would be coded for the special vehicle controls required, you would then be restricted to using the modified controls that you are coded for. 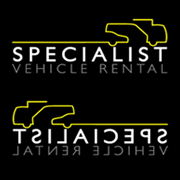 Advice would be given as to the best way to proceed with your driving lessons, how to find a specialist driving instructor with a suitable tuition vehicle (or one who would be prepared to teach you in your own specially adapted car) and they would explain the possibility of financial help with the cost of tuition and the cost of adaptations.